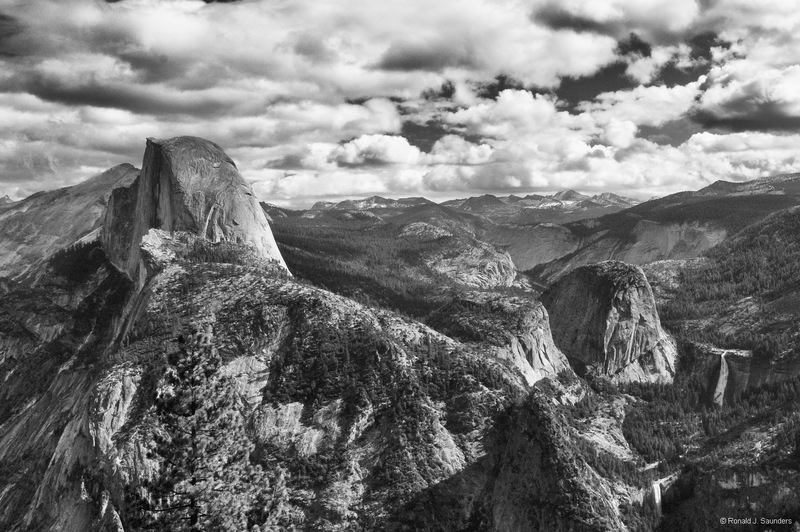 Black and white photography is a natural in Yosemite Valley. This striking image was taken during an all day stay at Glacier Point. Vernal falls and Nevada Falls are seen on the right. Photo © copyright by Ronald J. Saunders.